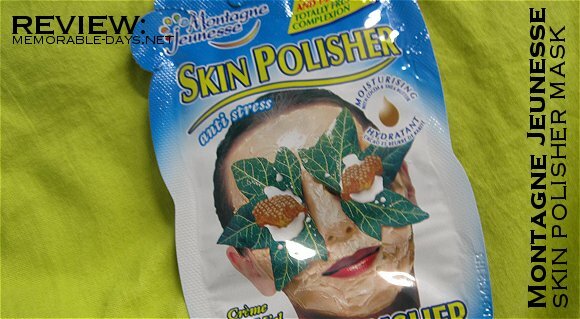 Review: Montagne Jeunesse Skin Polisher Mask | Memorable Days : Beauty Blog - Korean Beauty, European, American Product Reviews. Last time I tried the sauna masque of Montagne Jeunesse and I wasn't really positive about it. This time I will try the skin polisher mask - Cream & Honey. This mask is for people with a normal, dry and t-zone skin. It's moisturizing with cocoa and shea butter. The mask is around €1,80. Use on a clean washed face, leave your skin wet and apply the mask on the face and neck with wet fingertips. 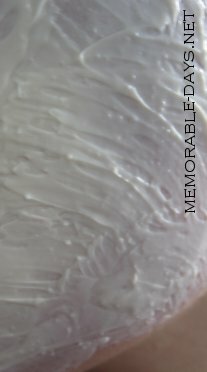 Carefully massage it over the face and neck for 1-3 minutes avoiding delicate eye and lip areas. After scrubbing it, it was stinging a bit at the beginning, but I just left it on. Leave it on for 10-15 minutes and you will see that the mask absorbs in the skin. Rinse it well & pat dry when it's time. This mask can be used daily. After washing my face, my skin felt soft, clean and my skin didn't feel dry. Besides, it did unclog my pores which is a plus :). I dislike it that the mask was stinging a bit at the beginning. It made me worried o_o" (while it's an anti-stress mask lol) but my skin wasn't red after washing it off and I didn't have a breakout after wards. @May hey you're back ^^ ! @Sam, jup, deze is ok, maar er zijn veel betere maskers op de markt. ooh. i love the smell of honey :). I have used the other flavours of this brand but not this one ^^ may try it some time! @Tam, hmm i thought it was sold in all drugstores =/ but i wouldn't use this if you have a sensitive skin >.< it even stings on my combination skin o_O"
i seriously love your blog!!! you're amazing! !